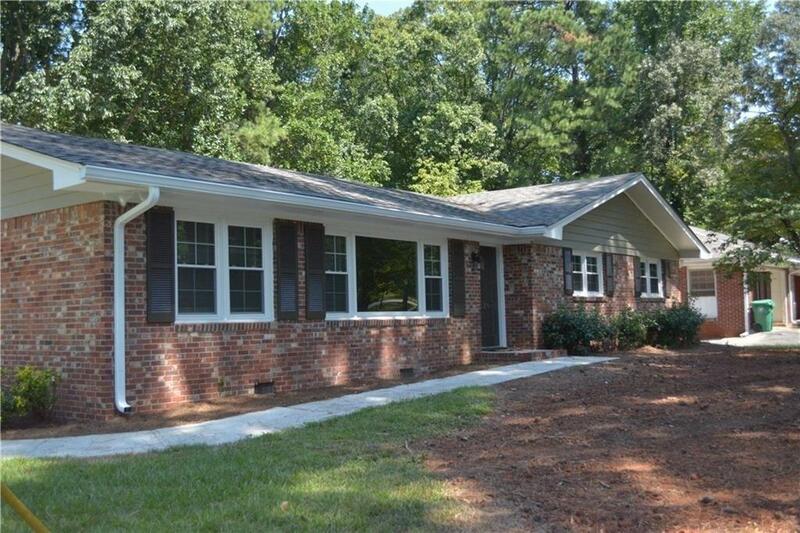 COMPLETELY REMODELED 4-SIDE BRICK RANCH LOCATED IN SOUGHT AFTER BROOKHAVEN! OPEN FLRPN W/STUNNING VIEWS OF KITCHEN & FAMILY RM. BEAUTIFUL NEW WHITE KITCHEN CABINETS & SOFT CLOSE DRAWERS, GRANITE COUNTER TOPS, PANTRY & SS APPLIANCES! NEWLY FINISHED HARDWOOD FLRS THROUGHOUT. COMPLETELY NEW BATHROOMS, ALL NEW FIXTURES, LIGHTING, WINDOWS, ROOF, ELECTRICAL, PLUMBING & PAINT! THIS HOME HAS IT ALL & IS A MUST SEE! CLOSE TO 285/400& MARIST HIGH SCHOOL. W/D PROVIDED AS A COURTESY TO TENANTS FOR THE USE WHILE RENTING THE PROPERTY. Directions: Peachtree Rd N From Buckhead, Turn L Onto Ashford Dunwood Rd, Turn R Onto Harts Mill Rd, Home Is On Your Rt.